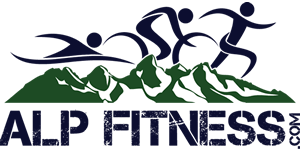 The educational resources and training programs provided through this website are intended to help currently healthy, physically active individuals train for their athletic goals. The resources and training plans are not intended to diagnose, prescribe or treat any health disorder. Consult with your physician regularly; even experienced athletes should undergo regular medical checkups. If you answer yes to any of the seven questions in the Physical Activity Readiness Questionnaire (PAR-Q), or have high blood pressure, high cholesterol, obesity, diabetes, a sedentary lifestyle or a family history of heart disease, consult with your physician to obtain medical clearance prior to beginning any exercise program. Use of the information contained on this website and any training provided through this website carries with it an implied agreement to the following acknowledgement, waiver and release from liability (AWRL). 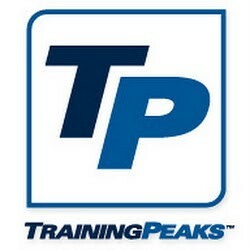 Prior to engaging in any training programs provided by Adam Hodges and Alp Fitness/Alp Multisport, I ACKNOWLEDGE that training for and/or participating in swimming, bicycling, running, triathlon, duathlon or any multisport event is an extreme test of a person’s physical and mental limits, and carries with it the potential for death, serious injury, and property loss. I HEREBY ASSUME, WITH FULL UNDERSTANDING, ALL RISKS OF TRAINING FOR AND PARTICIPATING IN SUCH TRAINING AND EVENTS. I ATTEST that I am in good health and that my physical condition has been verified by a licensed medical doctor. I ACCEPT for myself, my heirs, and my personal representatives full responsibility for personal bodily injury, death, property loss or damages of any kind arising out of or related to my training for or participation in a swimming, bicycling, running, triathlon, duathlon or multisport event. I WAIVE, RELEASE AND DISCHARGE Adam Hodges, Alp Fitness/Alp Multisport, its employees, coaches, consultants and any agents for the above from any and all claims, costs, or liabilities for personal bodily injury, death, property loss or damages of any kind arising out of or related to my training for or participation in a swimming, bicycling, running, triathlon, duathlon or multisport event. I AGREE NOT TO SUE any of the persons or entities mentioned above for any claims, costs or liabilities that I have waived, released or discharged herein. I INDEMNIFY, DEFEND AND HOLD HARMLESS the persons or entities mentioned above from any loss, liability, damage, and cost I may incur due to my participation in this program.